A new community-led development of council rent homes shows how allowing residents to take a lead can provide new housing on existing estates and result in positive outcomes for all. 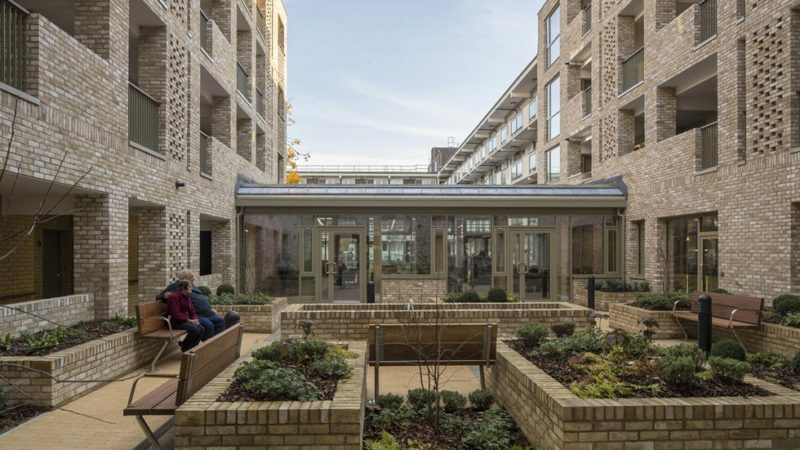 Supported by igloo Community Builders, Leathermarket Community Benefit Society (CBS) identified an underused garage site on the Kipling Estate, Southwark and have developed 27 affordable homes. The project was designed by Bell Phillips Architects who worked closely with Leathermarket CBS from the outset to co-develop proposals. An award-winning development by Phoenix Community Housing of 60 extra care apartments for older people. With funding from the Mayor of London and Lewisham Council, the homes are for affordable rent and built next to Phoenix’s existing properties. Phoenix Community Housing is a not-for-profit resident-led housing association based in South London. They own and manage more than 6,000 homes in Lewisham and are now starting to build their first new homes. A close of thirteen self-build homes in Lewisham by architect Walter Segal. This council-run housing scheme was the first of it’s kind in the UK and saw a group of residents build their own homes on a derelict site in Lewisham. Open house is a great opportunity to look around the homes and there will be a short documentary viewing.